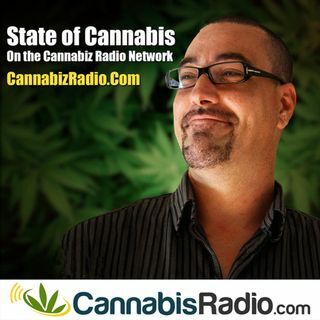 Today on State of Cannabis our host is joined by Andy Williams from Medicine Man Technologies. Andy Williams is the Co-Founder and Chairman of the Board of Medicine Man Technologies and CEO of Medicine Man in Colorado. He is veteran of the US Army, and served three years as a Cavalry Scout in the 3rd Infantry Division. He went on to earn a Bachelor of Science degree in Industrial Engineering from the University of Southern Colorado in Pueblo, CO. Andy has worked in a wide range of manufacturing ... See More industries as an industrial engineer, and in leadership positions. He is a lifelong entrepreneur. In 2009 the Ogden letter was published stating the Department of Justice would not utilize their resources to prosecute those individuals following state marijuana laws. That was the call to a new opportunity in the marijuana industry for Andy and his brother, Pete Williams. In December of 2009 they launched Medicine Man with the concept of being the Costco of marijuana. Six years later Medicine Man is now a $17 million a year corporation and has branched out to assist start-up marijuana companies and grow facilities across the country with their consulting company, Medicine Man Technologies. They are known as industry leaders throughout the United States.